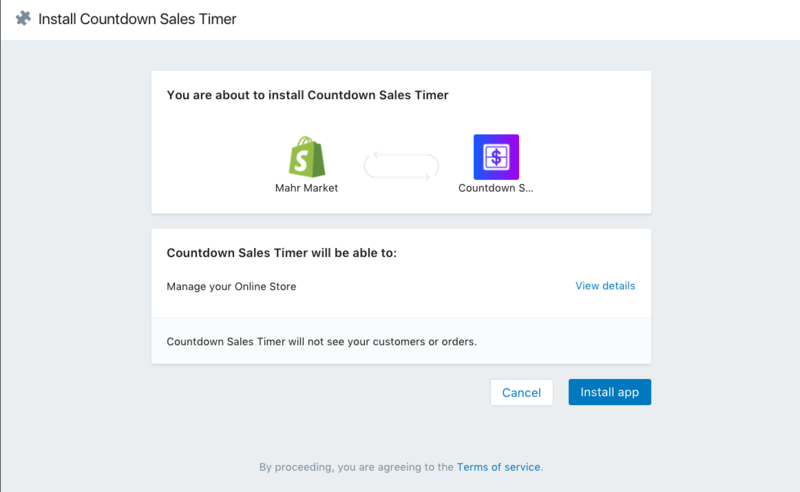 Thanks to the Shopify App Store, installing Countdown Sales Timer on your Shopify store is super easy. In this article, we'll guide you through the motions. 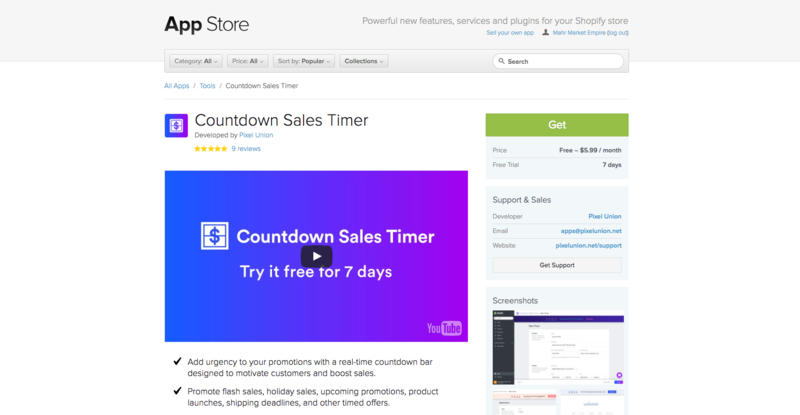 First up, you'll need to visit the Shopify App Store listing page for Countdown Sales Timer. After you've enjoyed our video and are thoroughly convinced Countdown Sales Timer is the app for you, you can hit that big green "Get" button on the right side of your screen. 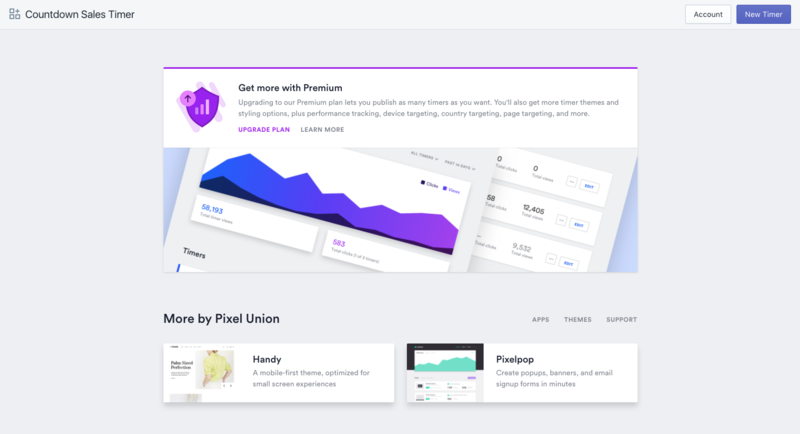 Before we can install the app, Shopify will present you with an authorization screen alerting you to all the store information you'll be granting us access to (don't worry, we'll only use it for good). We'll be getting your email address in order to send you email alerts about your timers and on occasion tell you about the other apps we offer. Once you've authorized access, the app will be installed on your store and visible from the Apps tab on your dashboard. To create your first timer, all you need to do is click the purple New Timer button in the top right hand corner of you're screen. If you need help setting up your timer, you'll find the full documentation here. Countdown Sales Timer offers two plans: a Basic plan (which is free) and a Premium plan (which costs $5.99/month). 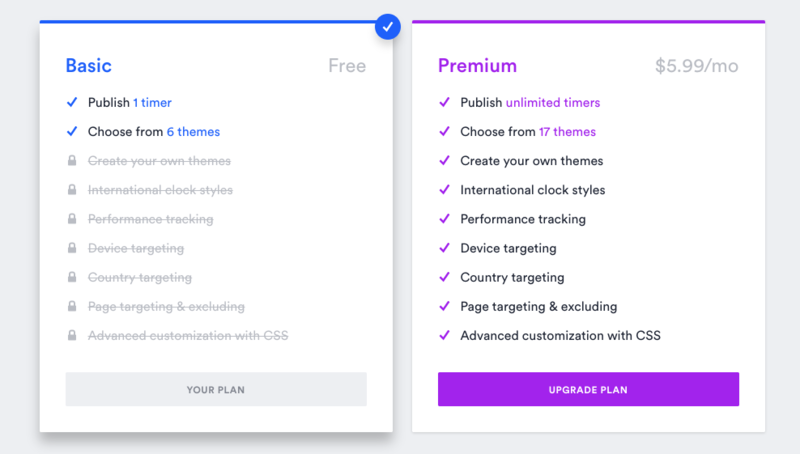 When you first install the app, you will be placed on the Basic plan by default, however you can upgrade your account to Premium at any time. It's just $5.99/month and comes with all the bangin' features you see here. You can find more information about upgrading (or downgrading) our account here.